I&apos;ll admit, those Monty-Hall-type problems invariably trip me up. Or at least, they do if I&apos;m not thinking very carefully -- doing quite a bit more work than other people seem to have to do. What&apos;s more, people&apos;s explanations of how to get the right answer have almost never been satisfactory to me. If I concentrate hard enough, I can usually follow the reasoning, sort of; but I never quite "see it", and nor do I feel equipped to solve similar problems in the future: it&apos;s as if the solutions seem to work only in retrospect. Minds work differently, illusion of transparency, and all that. Fortunately, I eventually managed to identify the source of the problem, and I came up a way of thinking about -- visualizing -- such problems that suits my own intuition. Maybe there are others out there like me; this post is for them. ...well, let&apos;s just say I prefer to start at the top and work downward, as a general rule. Tell me how the trees relate to the forest, rather than the other way around. So what&apos;s the right way to explain Bayes&apos; theorem to me? 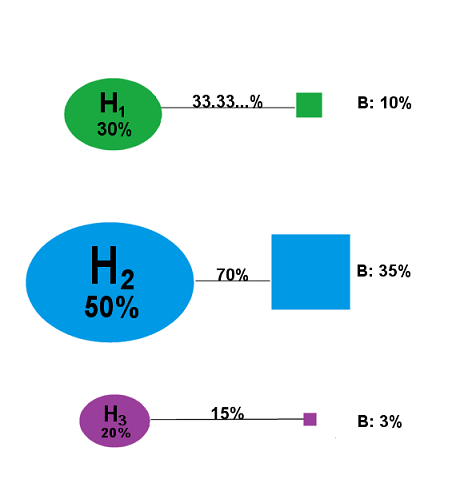 Note that we have now carved up our hypothesis-space more finely; our possible world-states are now things like "Hypothesis H1 is true and Result A occurred", "Hypothesis H1 is true and Result B occurred", etc., as opposed to merely "Hypothesis H1 is true", etc. 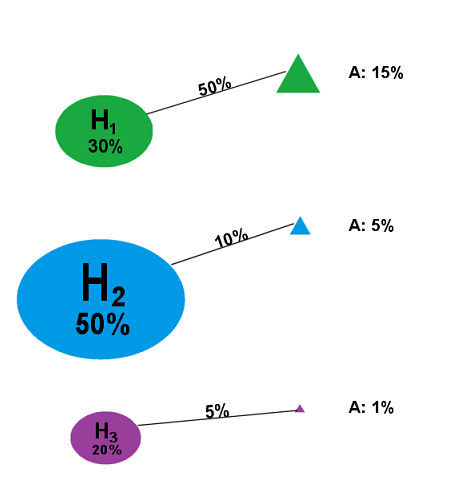 The numbers above the slanted line segments -- the likelihoods of the test results, assuming the particular hypothesis -- represent what proportion of the total probability mass assigned to the hypothesis Hn is assigned to the conjunction of Hypothesis Hn and Result X; thus, since P(H1) = 30%, and P(A|H1) = 50%, P(H1 & A) is therefore 50% of 30%, or, in other words, 15%. Now, then, suppose we run the test, and we get...Result A. There! We&apos;ve just performed a Bayesian update. And that&apos;s what it looks like. 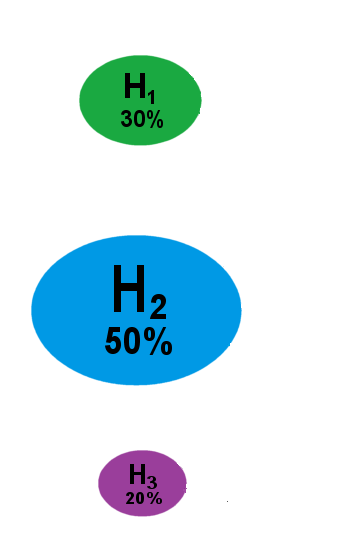 In words: to calculate the updated probability P(H|E), take the portion of the prior probability of H that is allocated to E (i.e. 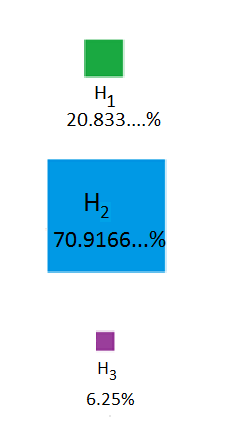 the quantity P(H)*P(E|H)), and calculate what fraction this is of the total prior probability of E (i.e. divide it by P(E)). 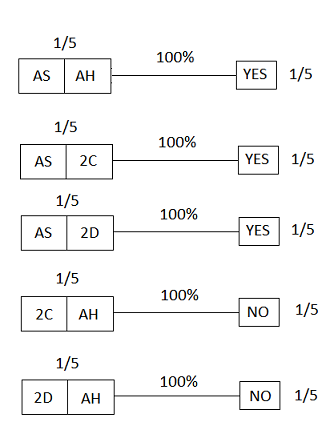 What I like about this way of visualizing Bayes&apos; theorem is that it makes the importance of prior probabilities -- in particular, the difference between P(H|E) and P(E|H) -- visually obvious. 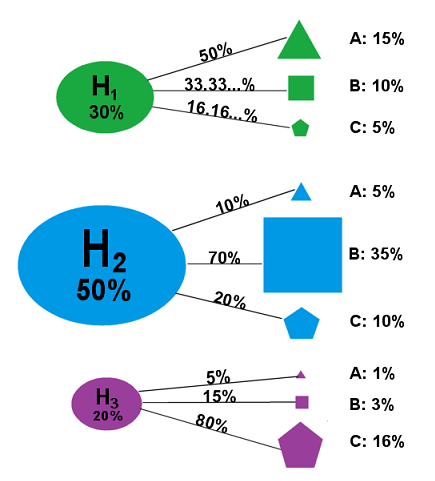 Thus, in the above example, we easily see that even though P(C|H3) is high (80%), P(H3|C) is much less high (around 51%) -- and once you have assimilated this visualization method, it should be easy to see that even more extreme examples (e.g. 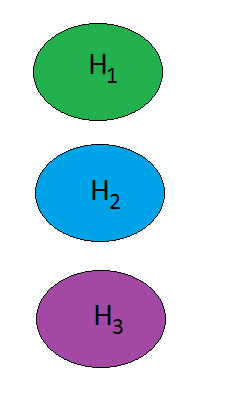 with P(E|H) huge and P(H|E) tiny) could be constructed. 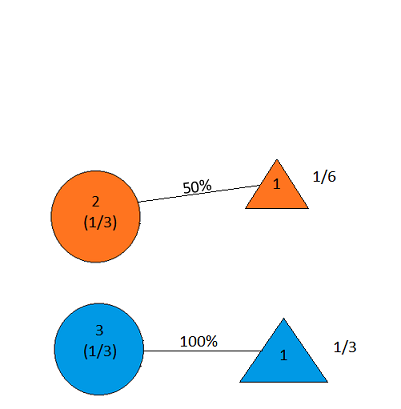 Now let&apos;s use this to examine two tricky probability puzzles, the infamous Monty Hall Problem and Eliezer&apos;s Drawing Two Aces, and see how it illustrates the correct answers, as well as how one might go wrong. The situation is this: you&apos;re a contestant on a game show seeking to win a car. Before you are three doors, one of which contains a car, and the other two of which contain goats. You will make an initial "guess" at which door contains the car -- that is, you will select one of the doors, without opening it. At that point, the host will open a goat-containing door from among the two that you did not select. You will then have to decide whether to stick with your original guess and open the door that you originally selected, or switch your guess to the remaining unopened door. The question is whether it is to your advantage to switch -- that is, whether the car is more likely to be behind the remaining unopened door than behind the door you originally guessed. The answer is that it is to your advantage to switch -- that, in fact, switching doubles the probability of winning the car. People often find this counterintuitive when they first encounter it -- where "people" includes the author of this post. There are two possible doors that could contain the car; why should one of them be more likely to contain it than the other? 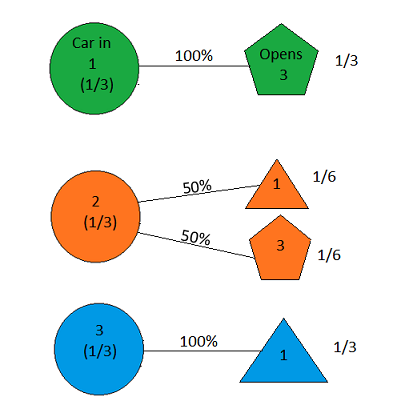 The possible hypotheses are Car in Door 1, Car in Door 2, and Car in Door 3; before the game starts, there is no reason to believe any of the three doors is more likely than the others to contain the car, and so each of these hypotheses has prior probability 1/3. Before we&apos;ve made our initial selection of a door, the host is equally likely to open either of the goat-containing doors. 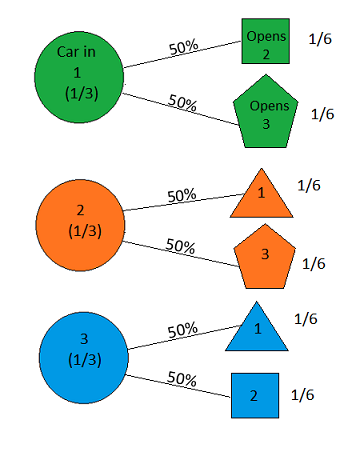 Thus, at the beginning of the game, the probability of each hypothesis of the form "Car in Door X and Host Opens Door Y" has a probability of 1/6, as shown. So far, so good; everything is still perfectly correct. 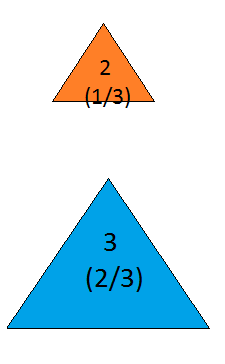 But this shows equal probabilities of the car being behind Door 2 and Door 3! Suppose I have a deck of four cards: The ace of spades, the ace of hearts, and two others (say, 2C and 2D). You draw two cards at random. Now suppose I ask you "Do you have an ace?" I then say to you: "Choose one of the aces you&apos;re holding at random (so if you have only one, pick that one). Is it the ace of spades?" What is the probability that you hold two aces? 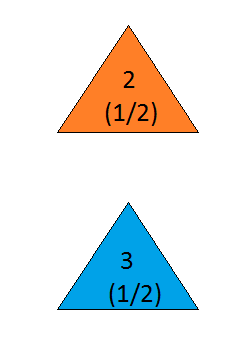 Each has a prior probability of 1/5, since there&apos;s no reason to suppose any of them is more likely than any other. 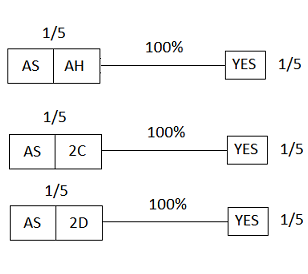 What this means is that the test we ran did not provide any additional information about whether the person has both aces beyond simply knowing that they have at least one ace; we might in fact say that the result of the test is screened off by the answer to the first question ("Do you have an ace?"). 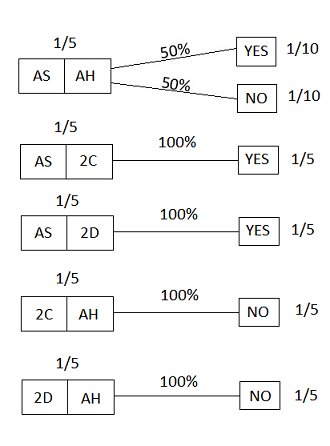 The total probability mass allocated to YES is 3/5, and, within that, the specific situation of interest has probability 1/5; hence the updated probability would be 1/3. 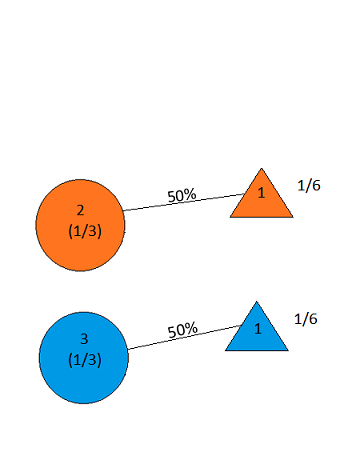 So a YES answer in this experiment, unlike the other, would provide evidence that the hand contains both aces; for if the hand contains both aces, the probability of a YES answer is 100% -- twice as large as it is in the contrary case (50%), giving a likelihood ratio of 2:1. 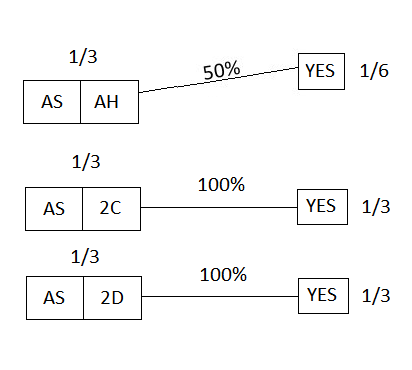 By contrast, in the other experiment, the probability of a YES answer is only 50% even in the case where the hand contains both aces. The method explained here is far from the only way of visualizing Bayesian updates, but I feel that it is among the most intuitive.